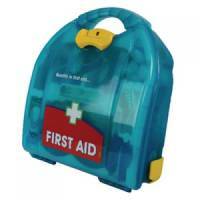 Initiative First Aid Dispenser 10 Person HSE Compliant 270mm x 102mm x 290mm Pack of 1 Size: 270w x 102d x 290h mm. 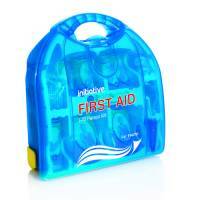 Q-Connect 10 Person First Aid Kit 1002451 Pack of 1 First aid kit for 1-10 people. Contains guidance leaflet, plasters, eye pads, bandages, safety pins, dressings, gloves and wipes. Complete with wall fixing kit. 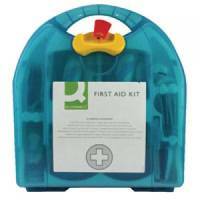 Q-Connect 20 Person Wall-Mountable First Aid Kit KF00576 Pack of 1 First aid kit for 11-20 people. 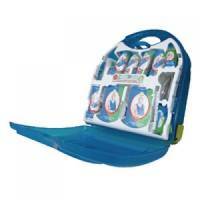 Contains guidance leaflet, plasters, eye pads, bandages, safety pins, dressings, gloves and wipes. Complete with wall fixing kit. 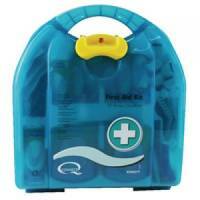 Q-Connect 50 Person Wall-Mountable First Aid Kit 1002453 Pack of 1 First aid kit for 21-50 people. 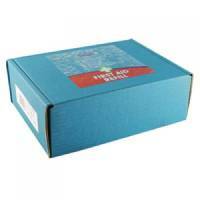 Contains guidance leaflet, plasters, eye pads, bandages, safety pins, dressings, gloves and wipes. Complete with wall fixing kit. 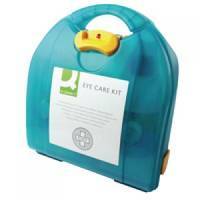 Q-Connect Eye Wash Kit With 2x500ml Eyewash 1006088 Pack of 1 Eye wash dispenser ideal for eye injuries sustained in the workplace. 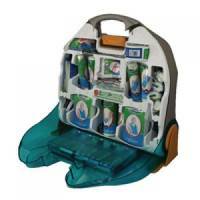 Contains two x eyewash 500ml and a mirror. W270 x D102 x H290mm. 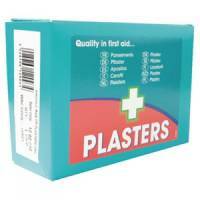 Wallace Cameron Assorted Fabric Plasters (Pack of 150) 1210024 Pack of 1 Keeps cuts and scrapes well covered. Allows the injury time to heal. Stretchy material ensures greater flexibility. Strong fabric is designed for longer lasting use. 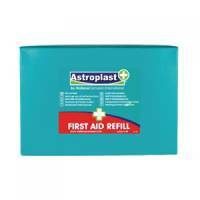 Strong adhesive keeps the plasters on while your injury improves. Assorted sizes. 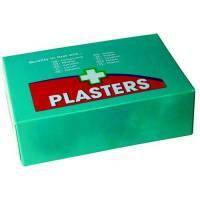 Wallace Cameron 70x24mm Fabric Plasters (Pack of 150) 1210025 Pack of 1 Keeps cuts and scrapes well covered. Allows the injury time to heal. Stretchy material ensures greater flexibility. Strong fabric is designed for longer lasting use. Strong adhesive. 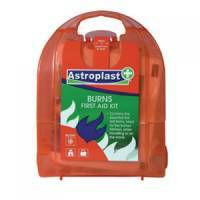 Suitable for minor cuts, scratches and scrapes. Size: 70x24mm. Wallace Cameron Refill For Pilferproof First Aid Kits Pack of 1 Has full HSE compliance including pull and easy apply pilfer proof plasters which allow one handed sterile application plus additional recommended health & safety items. Wallace Cameron Refill 50 Person kit Pack of 1 Contains: First aid guidance leaflet. Wallace Cameron Micro Burns 1044229 Pack of 1 Wallace Cameron Micro Burns Kit. 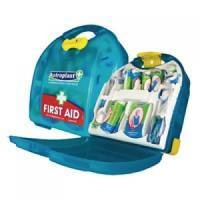 Micro first aid kit ideal for keeping in the kitchen or car. Contains burn gels and burn lint pads. Wallace Cameron Pilferproof HS1 10 Person First Aid Kit Dispenser Pack of 1 Has full HSE compliance including pull and easy apply pilfer proof plasters which allow one handed sterile application plus additional recommended health & safety items. Wallace Cameron Pilferproof HS2 20 Person First Aid Kit Dispenser Pack of 1 Has full HSE compliance including pull and easy apply pilfer proof plasters which allow one handed sterile application plus additional recommended health & safety items. Wallace Cameron Mezzo First Aid Dispenser 10 Person Pack of 1 Uniquely designed so the inserts can be moved to create different size spaces. Wallace Cameron Mezzo First Aid Dispenser 20 Person Pack of 1 Uniquely designed so the inserts can be moved to create different size spaces. Wallace Cameron Fabric Pilferproof Plaster Refill Pack 150 Pack of 1 For premier pilferproof kits. 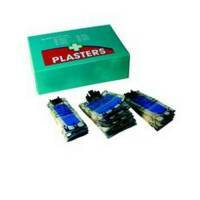 Wallace Cameron Waterproof Plaster Refill Pack 150 Pack of 1 For premier pilferproof kits. 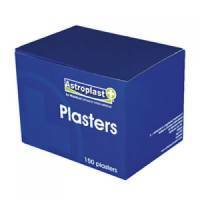 Wallace Cameron Blue Pilferproof Plaster Refill Pack 150 Pack of 1 For premier pilferproof kits. 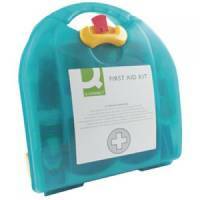 Wallace Cameron Refill 10 Person kit Pack of 1 Contains: First aid guidance leaflet. 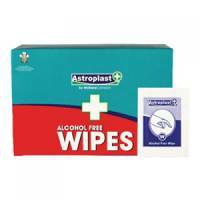 Wallace Cameron Alcohol Free Wipes Pack 100 Pack of 1 Refill for Bambino plaster & wipe dispenser. 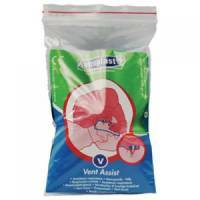 Wallace Cameron Vent Aid PK3 5001026 Pack of 1 Offers protection while performing CPR. Designed for life threatening situations. Covers the patient's mouth during resuscitation. 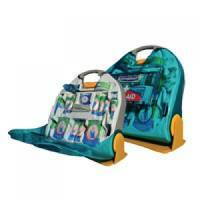 Offers a clear, unobstructed airway. Comes in an easy to open plastic bag for instant retrieval. Resealable bag.